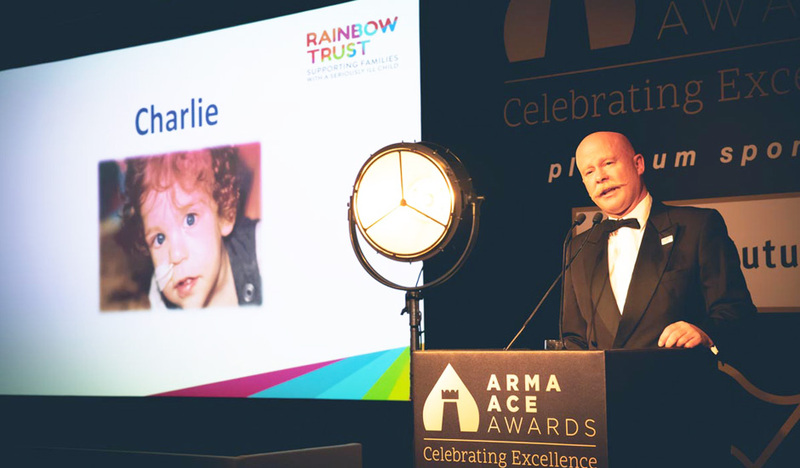 We’re delighted to have been chosen as charity partners by ARMA (the Association of Residential Managing Agents) and supported through their glittering ARMA ACE Awards, held at Tobacco Dock in London on the 6 of July 2018. Speaking to an audience of over 500 industry professionals, speeches by Jodie Egerton (Regional Fundraiser for Rainbow Trust) and Sean Connolly (Rainbow Trust family speaker) captivated their audience and highlighted the important work of Rainbow Trust, supporting families with a seriously ill child. The evening ended in a cheque presentation, where it was revealed that the fantastic sum of £5,768 was raised.